I hope you enjoy the report, and utilise the proven and cost effective ‘Targeted Intervention’ techniques it provides! 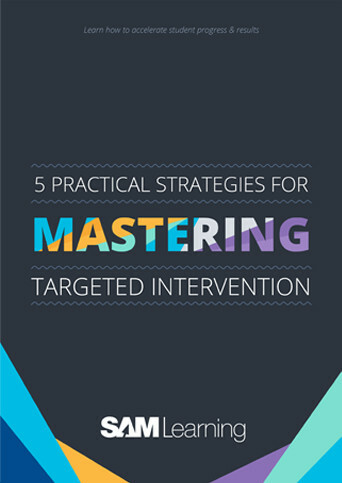 If after reading the “5 Practical Strategies for Mastering Targeted Intervention” you feel enthused and highly motivated to adopt these strategies and techniques within your own school, please feel free to get in touch with me personally. I’d be delighted to hear from you, introduce myself, and act as a sound board for your ideas. I could also demonstrate to you how SAM Learning’s ‘proven to improve’ Targeted Intervention solutions can help compliment your ideas and accelerate your students’ progress and results. Please feel free to call me on 0207 025 0621, or email mstringer@samlearning.com.